The project could have big market and regulatory implications for Alaska’s hatchery industry. Fish and Game scientists and certifying bodies have questioned the scientific integrity of the project, but officials are maintaining that the study is not biased. 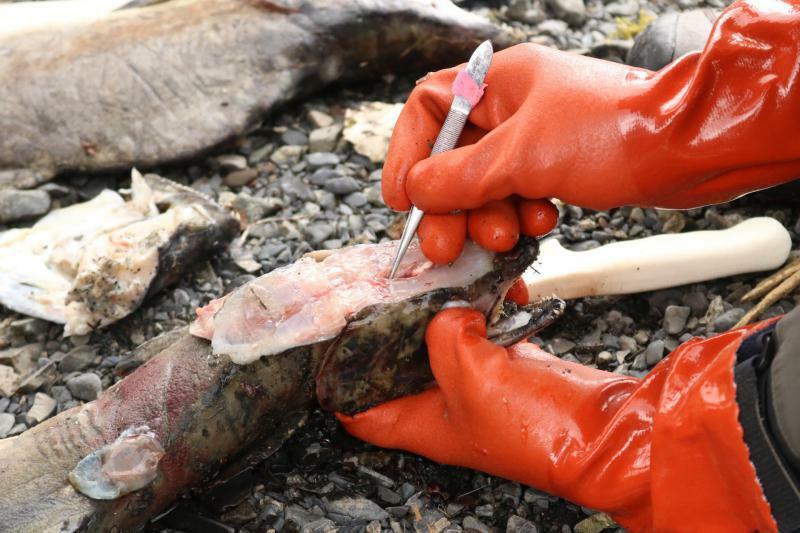 In recent years, Alaska’s hatchery programs have been in the hot seat. Scientists, stakeholders and certifying entities have questioned whether hatchery fish are having a negative effect on wild stocks. At a recent Alaska Board of Fisheries meeting, many in the industry and Fish and Game officials like Commercial Fisheries Division Director Sam Rabung pushed back against that notion. Private nonprofit hatcheries and Fish and Game responded to scrutiny back in 2012 by designing a massive multimillion-dollar research project that started the following year. They say the ongoing hatchery-wild research project will shed light on the proportions of hatchery pink and chum salmon found in both Prince William Sound and Southeast Alaska wild systems. It’s also supposed to help determine whether hatchery fish produce fewer offspring than wild stocks. However, scientists both inside and outside of Fish and Game have questioned the study’s integrity. Up until 2015, Greg Ruggerone served on a panel of scientists that assessed the sustainability of Alaska’s salmon fisheries for the Marine Stewardship Council. The panel also included former Fish and Game scientists, and they feared the study’s design, which has never been peer-reviewed, may be biased. The industry and Fish and Game hope the hatchery-wild study will satisfy the Stewardship Council’s overarching concerns about hatchery fish affecting the sustainability of wild stocks. The council may drop its certification for Prince William Sound and Southeast salmon fisheries if it doesn’t. That actually happened to Prince William back in 2012, but it’s since been recertified with some conditions. Similar conditions have been placed on Southeast as well. Certification from the Stewardship Council is a big deal because it provides access to many lucrative seafood markets worldwide. There have also been concerns about the makeup of the science panel that designed the study. Current and former nonprofit hatchery managers, board members and others in the commercial fishing industry make up a third of the roster. “They are the experts on how they operate the hatchery, but ultimately the study design needs to come from scientists that are familiar with these types of studies, not the industry, not the hatchery managers,” Ruggerone said. Fish and Game Chief Fisheries Scientist Bill Templin is aware of the optics. “Yeah, I know it's been a criticism of the program that the hatcheries are involved. However, we also have some people on the panel who were publicly not fans of hatcheries,” he said. However, the members he’s referring to, University of Alaska Fairbanks researchers Milo Adkison and Peter Westley weren’t added until last fall, long after the study was designed. The project isn’t just receiving scrutiny from outside entities. Through a leaked document that was later submitted to the Board of Fish, Fish and Game’s own scientists questioned whether the study’s design would minimize the impact stray hatchery fish are having on wild production. Despite the concerns, Templin said the study will produce peer-reviewed work on the percentages of hatchery fish showing up in wild streams – also known as stray rates. The science panel is also discussing how it will present findings on the productivity of hatchery fish. Preliminary results have been given to research boards that provided funding for the project. Those reports were contractually obligated and they indicate female hatchery pink salmon may be less productive. After another batch of results are released in June, it could be a couple of years before the science panel releases all of the study’s findings on the productivity question, and it’s still up for discussion whether those findings will be peer-reviewed. But there’s another question the science panel will grapple with moving forward: how will the department provide access to the massive dataset collected through this project? Science panel member Westley referred to it as a research gold mine that could shed light on the mechanisms behind stray hatchery fish. “Setting aside just for a moment the policy implications and the livelihoods that are affected by all of this and so forth, well, what are those fish doing on the spawning grounds? How long are they living? How many eggs do they spawn?” Westley said, listing off research possibilities. However, it’s unclear what data will be released publicly and when the science panel will make that decision. Any spinoff research could add to a growing body of peer-reviewed studies scrutinizing the impact of hatchery programs. But industry members on the science panel will also have a say in how data from the hatchery-wild study informs that research.